If you actually follow my blog, you know i work at a SWWWEET shoppe called Anthropologie. I work on the visual team with two wonderful, amazingly talented ladies. Elizabeth and Karen. Together the three of us (well..mostly them, put all the crafty displays and details you see in our store. It's an amazing job, and i'm very lucky to be surrounded by so much talent!! The three of us have been talking about having an art show for months and here is the 1st one. November 2nd. I am more then stoked! Apartment Art started once upon a time when three "antropologists" wanted to show the local world how fantastic handmade art and craft could be. Thus, Apt Art was born. Jenipher "jewelry extortioner", Karen, "the felt queen", and Elizabeth "illustration genius" are the head dogs of this sweet project. 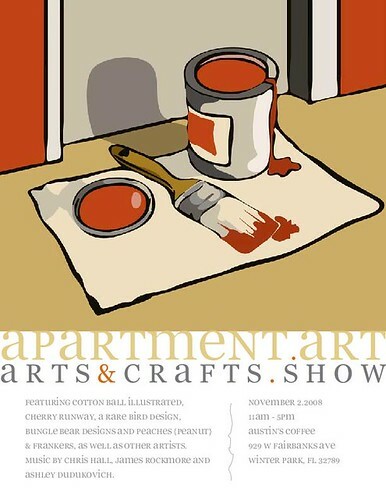 Come see us and many more splendid artists at Austin Coffee and Film on November 2nd from 11-5. 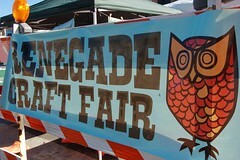 We are having a stellar day of cool artists, sweet tunes, and the food and atmosphere are awesome already!!! In "Art Shows", "Craft shows", "artists", "coffee shops", "wonderful day"
I know, again, i always apologize, but i've been a bad blogger..again!! Right now I'm at my favorite tea house so it's so much easier to be a good girl blogger. Except...that the internet is on the fritz here, and my computer is dying, and i've only been here an hour. It's been enough to recharge though, so I'm still thankful. It's been a crazy couple months, full of drama and excitement. Many things have been learned, taught, responded to, understood, misunderstood. Alas, at this moment, i can say i have a new appreciation to my jewelry, to my loving boyfriend and his family. To my favorite, and my future surrounded by all of these relationships. I'm in a good place right now, and i hope to move here permanently. Cross your fingers!! In "Art Shows", "Art", "Craft shows", "Jewelry", "fun days", "new"